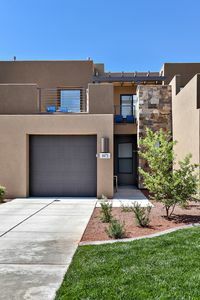 La Casa Grande- Luxurious Month-to-Month Rental, Game Room, Wifi, Trampoline + more! 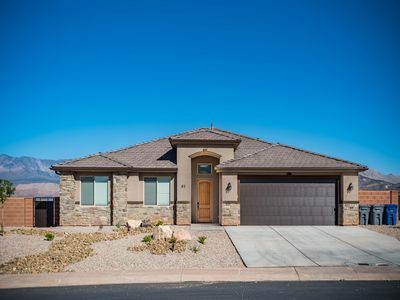 This brand new 3936 square foot home is PERFECT for your next family reunion! 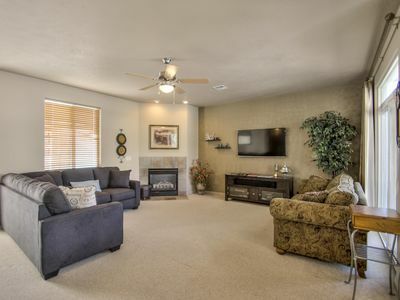 This beautiful, 6-bedroom 3.5 bathroom home is perfect for large family reunions and large group gatherings. 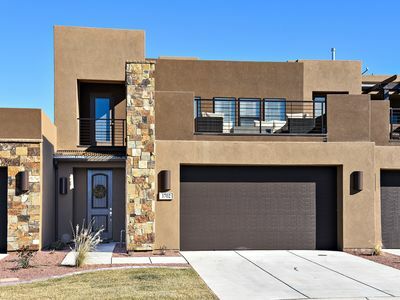 Nestled in the Fields of Washington surrounded by the Southern Utah desert landscape, you and your family will love all the many amenities and luxuries this rental home has to offer. 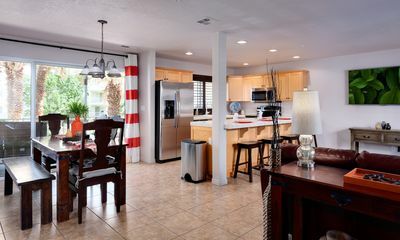 On the main level is the living area with an open dining and kitchen concept. 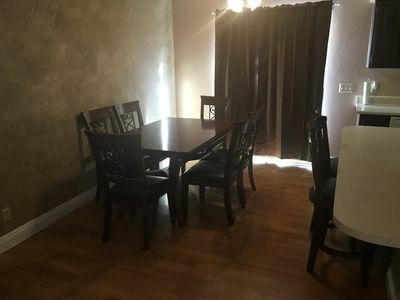 There is dining for 14 at the table and kitchen island. There is an office near the main entry with a pull-out sofa sleeper and sitting chairs. 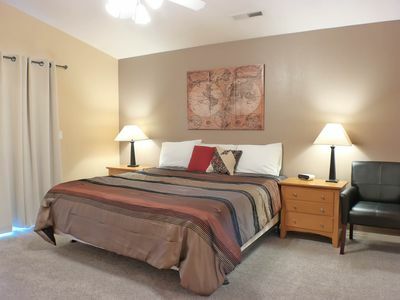 The Master bedroom just sits off from the den and has a king bed with a large walk in closet and his and hers sink and vanity. The shower has a duel water heads, so you are covered! Take the beautiful winding stair case up to the second level where you will find a queen in second bedroom, queen in the third and 2 sets of twin/full bunk beds in the kid’s room. Going all the way down to the lower level is the highlight of the home. 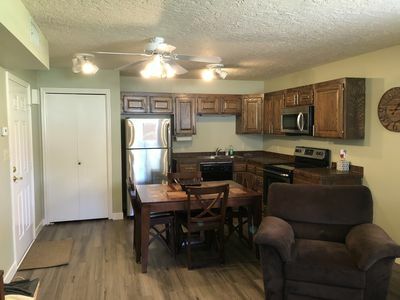 They converted the downstairs into a game room with Ping Pong, a pool table, couch with a TV and a card table for those that are like me and love to play a good game of Cribbage, Rook or Go Fish…Den here you will also find another bedroom with a king bed and bathroom. Outside, kick back and watch sun set while recapping the events of your day. Take advantage of the fire pit while the kids take advantage of the built-in trampoline. 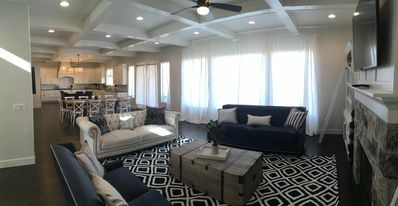 No matter what the occasion this home has it all! This home is not zoned for nightly rentals. As such a 30 day lease is required. 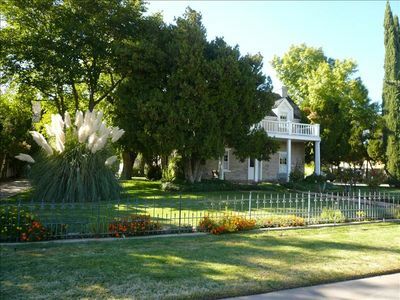 This property is not intended to be used for special events such as weddings or team events. Owners visit this property frequently so occupancy calendar may not reflect actual availability. Make inquiry to see if your dates are available. 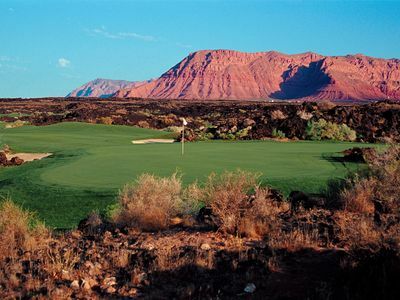 Desert Cool at The Ledges Golf Club *Resort Amenities Included! BEST DEAL!! Look No Further! We have everything you want & more! 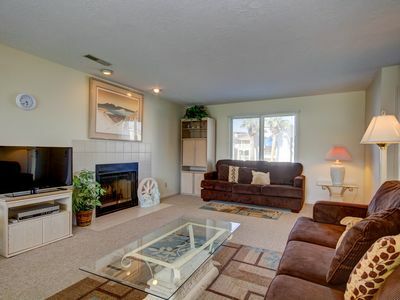 Paradise Awaits You In This Beautiful Las Palmas Unit. Enjoy beautiful St George while enjoying outdoor sports and cultural activities! 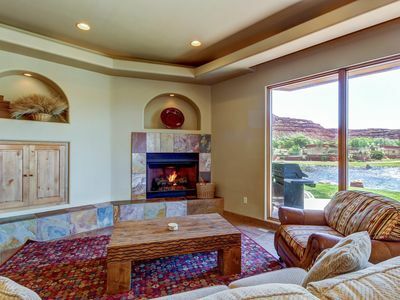 Traveller's Retreat at The Ledges Golf Club *Resort Amenities Included! And the winner is… You! Doesn't Get Any Better Than This! 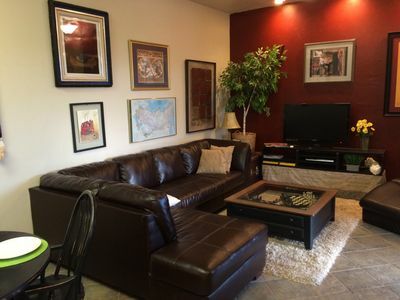 Cozy, waterfront studio by w/shared pool & hot tub - one dog ok! 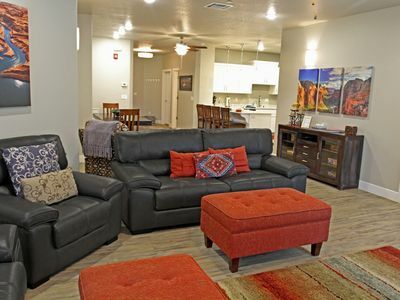 Dog-friendly, waterfront condo w/ shared pool & hot tub - close to Zion! Enjoy winter sports in Pine Valley! 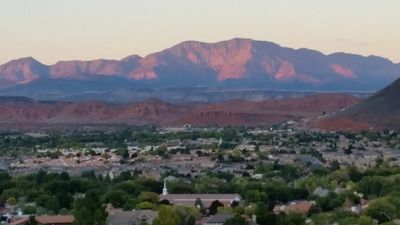 Enjoy all that Snow Canyon State Park has to offer!